Mariah Carey f. Ty Dolla $ign, "The Distance"
Everything Mariah Carey's been releasing this album cycle has been mariahvelous and her latest single with Ty Dolla $ign might be her best yet. 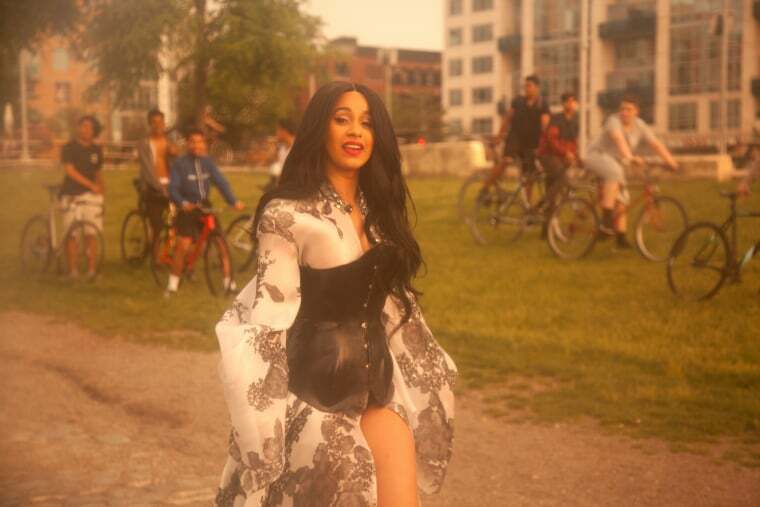 Cardi B's triumphant new single "Money" is excellent in all ways. But the sweet cherry on top comes at the end of the song when she switches up the lyrics to say, "But nothing in this world that I like more than Kulture!" Aww. Calvin Harris X Normani, "Slow Down"
A classic Calvin Harris beat meets Normani's fresh vocals to create a tantalizing bop for cruising top-down on an ocean-lined highway. Lil Yachty f. Lil Baby, "SaintLaurentYSL"
Lil Yachty and Lil Baby flex on a low-key, vintage-sounding beat — an interesting backdrop that makes "SaintLaurentYSL" an unexpected ear-worm. I have never heard a bad song from two of reggaeton's biggest stars Luis Fonsi and Ozuna and their newest collab is no exception to that rule. Toro y Moi's newest single "Freelance" is a twitchy, digitized track that I imagine is what having caffeine shot directly into your bloodstream feels like. Neneh Cherry, "Natural Skin Deep"
This spacey, jazzy, dancehall-sounding mishmash track by Sweden's iconic Neneh Cherry is an eclectic delight. Empress Of, "Love For Me"
Empress Of's vocal work across her newest album is stunning. It stands out the most on "Love For Me," where her harmonies fill the gaps in its minimal production. Delightful xylophone plinks and an aerated, choral hook makes South African producer Anatii's "Vuka" excellent walking around music for a chilly autumn. The Weather Station f. Jennifer Castle, "I Tried to Wear the World"
There must still be good in the world if something so beautiful as this The Weather Station and Jennifer Castle collab can exist.